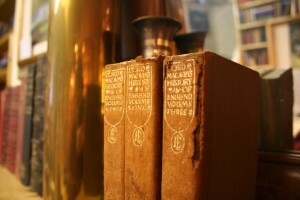 You can view our online collection of rare & collectible titles by clicking on the links below. We also display some rare titles in the shop. If you would prefer to buy from us directly, please do contact us via email. We are continually updating our database of rare books, please do contact us if you are searching for a particular title – it just may be waiting to be catalogued. Our knowledgeable staff would be happy to help you source a rare title!